Good news for the Maharashtra People who are looking for latest job Notification. For those candidates, we came with a good news. 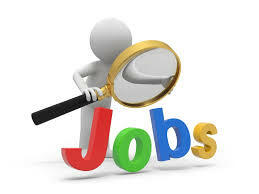 Now the Maharashtra Public Service Commission is going to recruit talented aspirants for 296 Tax Assistant Vacancies. So, interested candidates can apply for MPSC Tax Assistant Recruitment 2017 Notification before the last date that is 7th November 2017. As per the latest news aspirants who are applying for MPSC Jobs 2017 they have minimum educational qualification as per the official rules. So, applying candidates must possess their graduation degree with minimum qualifying marks from any recognized board or institute as educational Qualification. Candidates who are seriously preparing for Government Jobs in Maharashtra State this is a golden chance. Before filling the application form read the official notification details clearly. Through this page, we are providing more stuff related to MPSC Tax Assistant Jobs 2017 such as Education Qualification, Application Fee, Age Limit and Age Relaxation, Selection Process, Application Fee, Salary Details and Important Dates. To help the aspirants we gather all the stuff and provided on a single page. So, we suggest all the job seekers read the required details. At the end of the page, we are providing MPSC Tax Assistant Recruitment 2017 Notification. Click on the link and download the advertisement. Candidates can also visit the official website of Maharashtra Public Service Commission and check more information. The MPSC Tax Assistant Recruitment 2017 Notification is out. So, candidates, who are interested in Tax Assistant Jobs they have to apply for MPSC Tax Assistant Openings 2017. Willing aspirants can submit their application forms before 7th November 2017 through online mode. The aspirant’s minimum age limit is 18 years and the maximum age limit is 38 years. The upper age relaxation is as per officials norms. Job seekers can check the MPSC Tax Assistant Recruitment 2017 details from this page. If you want to know more information then refer the official notification which is mentioned at the end of the page. We suggest each and every applicant before filling the application form you have to know the required details. The applied contenders must face all the recruitment rounds conducting by Maharashtra Public Service Commission. So, the candidates must face Written Exam and Personal Interview. This is an excellent career opportunity for the Maharashtra People who are waiting for latest government jobs. Want to know more information about MPSC Tax Assistant Recruitment 2017 then simply scroll down this page and refer the complete information. Also, refer the official website of Maharashtra Public Service Commission and check much more information. Hope the way we are providing the information is useful for you then bookmark our website and get regular updates. Submit the online application form before 7th November 2017. The Maharashtra Public Service Commission is going to conduct the written exam and personal interview for Tax Assistant Posts. Aspirants who are applying for this vacancy they have to pay the specified application fee. Candidates must pay Rs.524/- as application fee. And the reserved categories candidates are requested to pay Rs. 324/-. Kindly refer the official notification and check more information about MPSC Tax Assistant Vacancies 2017 Application Fee. The organization is offering Rs. 5,200 to Rs. 20,200/- Per Month along with the Grade Pay of Rs. 2,400/- for the selected candidates. Through this page, we are providing all the important stuff such as Age Limit, Application Fee, Selection Process, Salary Details, Important Dates etc. Also, to the help, the applicants in an easy way we are updating simple steps to apply for MPSC Tax Assistant Recruitment 2017. The Maharashtra Public Service Commission is offering good pay scale for the selected candidates. More information about MPSC Tax Assistant Recruitment 2017 is given below. The interested candidates can apply through online mode. So, we urge all the aspirants before filling the application form you have to refer all the information which is provided on this page. It is better to refer the official notification which is attached at the below section. Aspirants must possess their graduation degree with minimum qualifying marks from any recognized board or institute is the required educational Qualification. The Upper Age Relaxation is as per Maharashtra Public Service Commission rules and regulations. Applicants must pay Rs.524/- as the application fee. Refer the official notification and check more information. The candidates who are applied for Tax Assistant Jobs 2017 they have to face all the recruitment rounds. The Maharashtra Public Service Commission is going to conduct the Written Test and Personal Interview for the applied candidates. As per the Maharashtra Public Service Commission rules the selected aspirants will receive Rs. 5,200 to Rs. 20,200/- Per Month along with the Grade Pay of Rs. 2,400/-. Applicants are advised to visit the Official Website of the Maharashtra Public Service Commission mahampsc.mahaonline.gov.in. On the home page go to the recruitment section. Search For MPSC Tax Assistant Recruitment 2017 Notification or Click on the below link. If you are eligible for Tax Assistant Jobs then download the application form. Fill the application form in a prescribed format. Recheck the given details and Pay the application fee. The Final Date For Submitting the Online Application Form: 7th November 2017.